CHICAGO – Stadium, the first 24/7 multi-platform sports network, today announced an exclusive partnership with the 2018 Cayman Islands Classic, a high-profile preseason college basketball tournament. Stadium will air all twelve games exclusively on Facebook.com/StadiumCollegeBasketball and will feature four 2018 NCAA Tournament teams in Clemson, Creighton, Georgia State and St. Bonaventure. This is the first season the Cayman Islands Classic will be streamed on Facebook, giving access to its more than 1.4 billion daily active users. 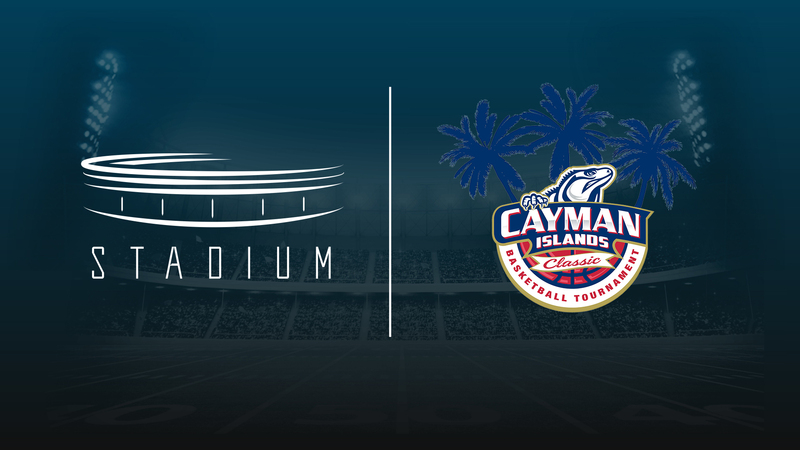 The partnership with the Cayman Islands Classic expands the already robust offering Stadium features on the Facebook platform, including live college and high school football, basketball and additional Olympic sports. The tournament will take place on Monday, November 19th and run through Wednesday, November 21st, 2018, exclusively on Facebook.com/StadiumCollegeBasketball. All games will take place from the New John Gray Gymnasium in George Town.